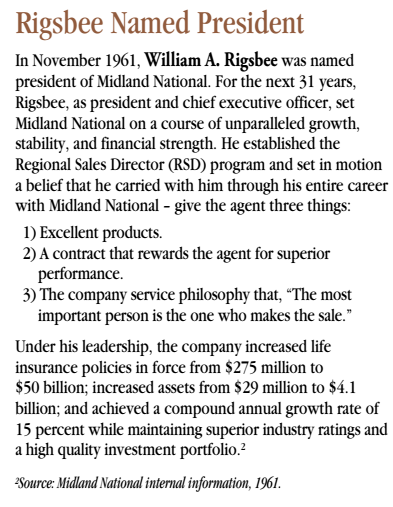 In November 1961, William Rigsbee was named president of Midland National. 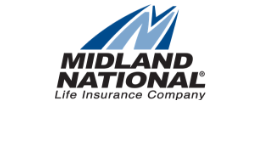 For the next 31 years, Rigsbee, as president and chief executive officer, set Midland National on a course of unparralleled growth, stability and financial strength. 2. A contract that rewards the agent for superior performance. 3. The company service philosophy that, "The most important person is the one who makes the sale." *Source: Midland National internal information, 1961.